College and high school football teams across the country are currently conditioning and practicing for the upcoming football season. And they’re doing it in the hottest weeks of the summer. But apparently fanatical adherence by some has led to the dangerous practice of overhydration. This is also known as exercise-associated hyponatremia. 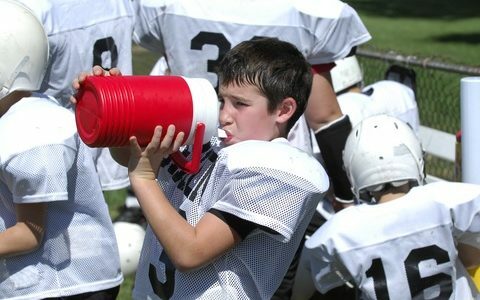 While it’s important that players be mindful of staying hydrated, “hydration shaming” has filtered into high school sports. Since 2014, two high school football players died during August football practice from overhydration. One died after drinking two gallons of water and two gallons of Gatorade following practice. Ironically, there is no documentation of any football player dying from dehydration. However, since 2014, seven succumbed fatally to heatstroke. Overhydration results from drinking too much water or sports drinks, which dilutes the level of salt in the blood. The body fills with more fluids than it can expel through perspiration or urination. The result is a swelling of all the cells in the body. Sadly, the symptoms of hyponatremia are similar to those of dehydration. Overhydration can cause headaches, nausea, dizziness, confusion, muscle cramps, and lead to coma and seizures. In addition to extreme thirst, dehydration can cause fatigue, dizziness and confusion. Scientists know that the body self-regulates its water balance. All land mammals require water and have a thirst trigger hardwired into the brain that protects the balance between water and salt. When the trigger is ignored, dehydration occurs. Oversaturation of our thirst results in hyponatremia. Players must drink regularly throughout all physical activities, no matter the temperature. An athlete shouldn’t only rely on his or her sense of thirst to sufficiently maintain proper hydration. Athletes should have a variety of fluids freely available and be free to drink whenever they feel thirsty. Encourage athletes to drink 16 ozs. of fluid two hours before physical activity and to drink before, during and after practices and games. The weather, the sport being played and the size of the athlete all determine how much one needs to drink. 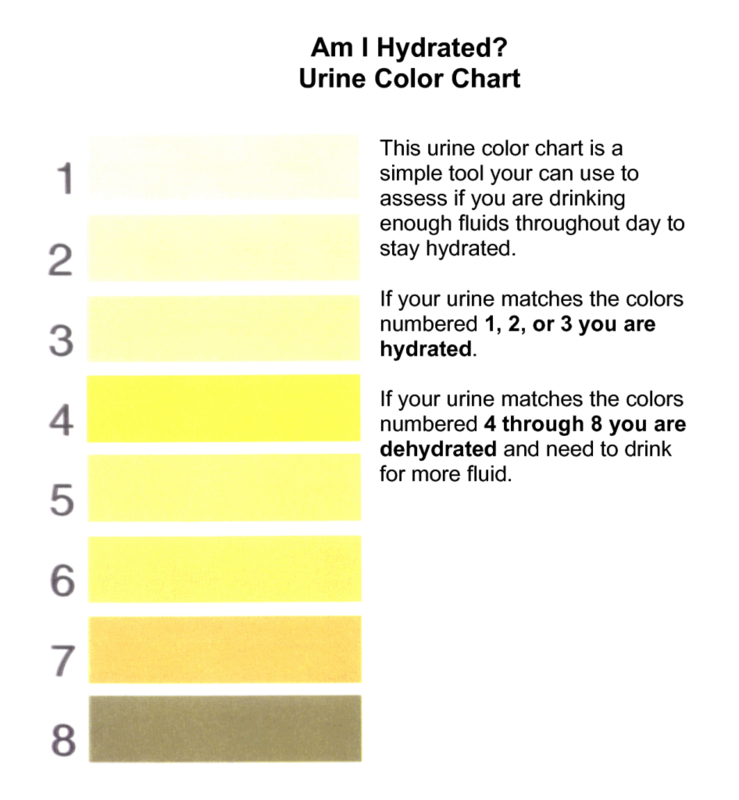 Tom Herman’s hydration chart (without the commentary) or similar, is a good basic tool for assessing your athlete’s level of hydration. Source: Tamara Hew-Butler. “Young athletes should stay hydrated, but too much water can be deadly.” cnn.com. 7 August 2018.